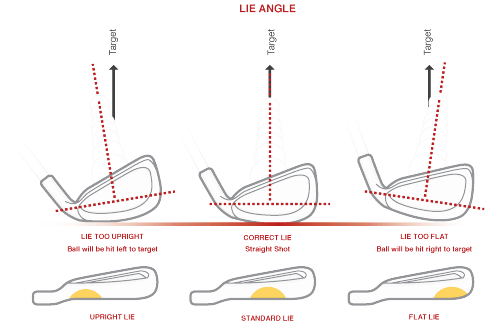 Cool Clubs Australia : What is Loft and Lie? What is Loft and Lie? The lie angle is a static measurement that is formed between the center of the shaft and the sole of the clubhead when the club is measured in normal playing position with the center of the sole touching the ground line. If the grooves on your iron lay parallel with the turf at impact, you’re looking at a proper lie angle which will produce straighter shots more consistently. Being fit for lie angle is important because it affects the direction and flight of the ball. For instance, if the sole of your club at impact is interacting with the grass more toward the toe then the lie angle is too flat. If impact is more toward the heel then the lie angle is too upright.  Both of these scenarios can affect the direction of your ball and it may veer away from your intended target line. This can also affect the launch angle causing it to be too high or low. Without the proper lie angle you loose the ability to direct your ball accurately down the target line at the launch angle you prefer. 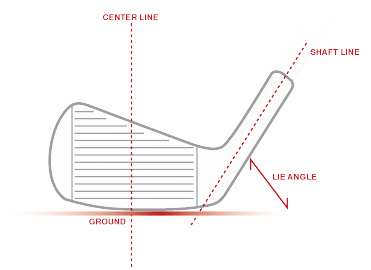 The loft of your club is determined by the angle of the face in correlation to the center of the shaft. Loft affects trajectory and spin rate so it determines the distance the ball will travel. More loft typically generates a higher trajectory and more spin while lower loft causes the ball to fly lower and spin less. Too much spin can cause the ball to balloon up in the air and limit your distance. Too little spin and the ball won’t stop on the green. If your clubs are not properly adjusted to fit your unique swing, you have the potential for inconsistencies throughout your set of irons. For proper distance control and maximize the performance of your irons you need to make sure your loft and lie spacing is correct. Off the Rack Loft and Lie Angles May Not Be Right For You! 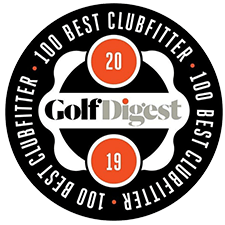 The loft and lie for most irons you’ll buy right off the rack at a big box store or online have not been adjusted to fit the individual golfer. At Cool Clubs we loft and lie every set of irons that leaves our build shop. In fact, we’ve designed our own loft and lie machines as shown in the image at the top of the page. With advanced technology and cosmetic friendly materials our loft and lie machines are unique. 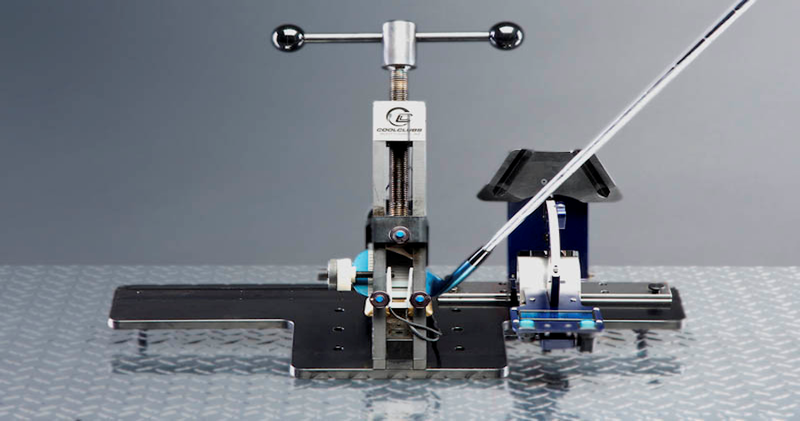 We’ve been able to customize the machines to meet our unique needs with a larger interface and the option of analog or digital readings in addition to a polymeric material coated clamp on top and brass on the bottom. This coating and the brass are softer than steel so preserve the finish on your irons preventing marring during the loft and lie adjustments. All parts of these machines are hand-assembled and calibrated in-house by our team of experts. Perhaps you are interested in purchasing one of our loft and lie machines or coming by to check out the loft and lie of your current irons. We can help with all your needs in one place. Contact us today to see our technology in person and experience the Cool Clubs difference.